A Private Session is the ideal place to start if you are new to Pilates or have a particular goal that you are working towards. We all learn differently, so working one to one with our experienced teachers will help you to get the most out of your session and progress quickly. They are particularly useful if you have an injury as we can help you change your movement patterns and help you with your recovery. The session is 100% about you so you will be able to work specially on what you and your body need by using all studio apparatus. Private sessions teach you exactly how the exercises should be executed and are tailored for your body to maximise your results. Working with all the Pilates apparatus, including the Reformer, Cadillac, chairs, barrels etc., your sessions will be full of variety. You will lengthen, strengthen and open the shoulders, back, arms, hips, bum, legs and feet all whilst engaging and strengthening your core for stability and balance. Your sessions are appointment based and so arranged at a time that suits you. If you would like to come with a friend or family member to share the cost, we also offer duet sessions which enables two clients to work with one teacher. All the benefits of a Private session, but with a familiar face there to enjoy the experience with and help you stay motivated! A popular and effective way of training in a Pilates Studio environment. The sessions are built around a standard format with the teachers tailoring the repertoire of exercises to suit your individual needs. Sessions typically incorporate both mat and apparatus based Pilates exercises. 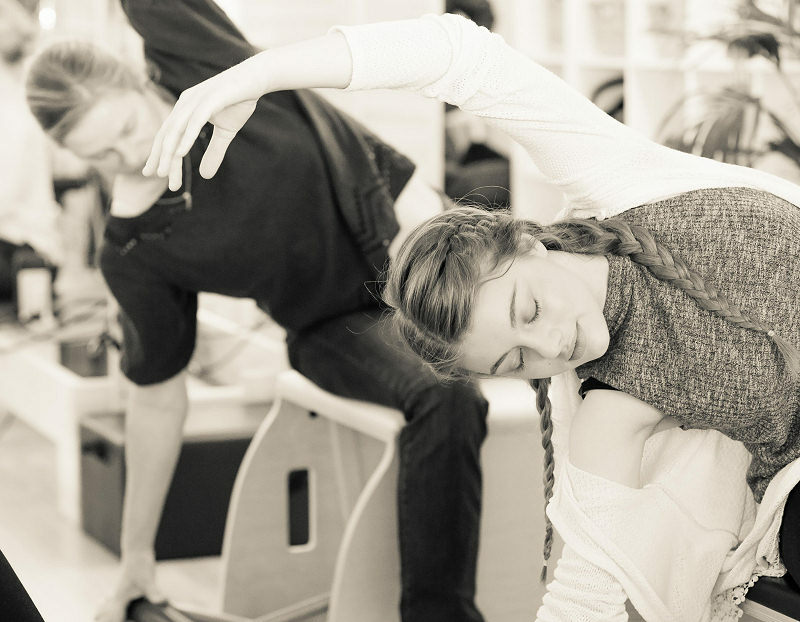 Tour instructor will work with you to encourage flow and independance. Teachers running the session work with up to four clients at any one time, giving direction, feedback and correction throughout the session. New exercises are regularly introduced to give variety and challenge to your sessions, ensuring continuous progression and development. Sessions are pre booked and last 1 hour and 10 minutes. A flowing class using the reformer, the exercises are based on the classical order and will build strength and great posture. Not suitable for those with injuries as you will be moving quickly to maintain the flow of the class. 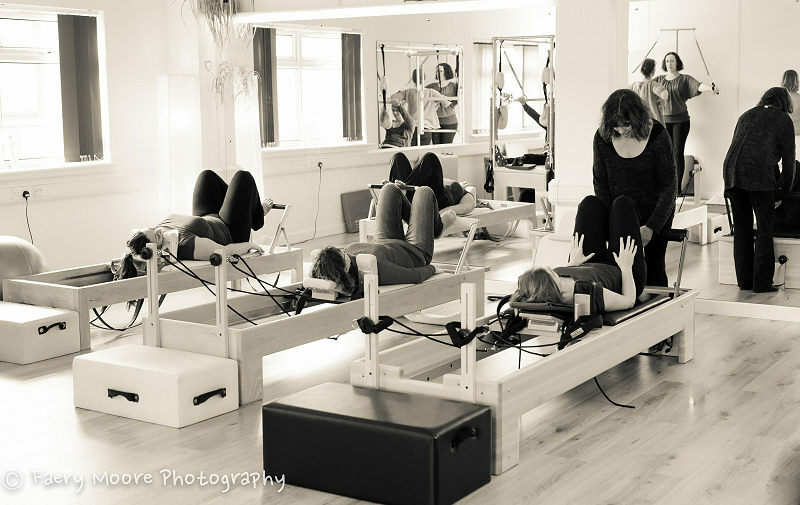 Reformer pilates classes are designed to stretch, strengthen, and tone every area of your body whilst also focussing on the mind body connection. You will leave feeling like you've had a great workout, calm, de-stressed, and stronger than before. 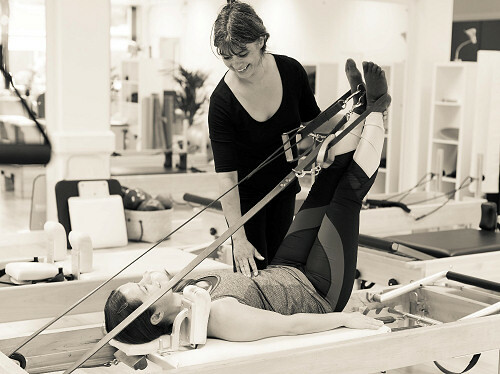 Reformer classes are a step up from the mat as they are more targeted and encourage precision of movement, whilst smaller classes, just five of you in a class means extra client tutor attention. So much fun our evening classes are normally fully booked please call to be put on the wait list!